Greeks are the second most worried (87%) worried about fake content on the web, according to a survey by the BBC. 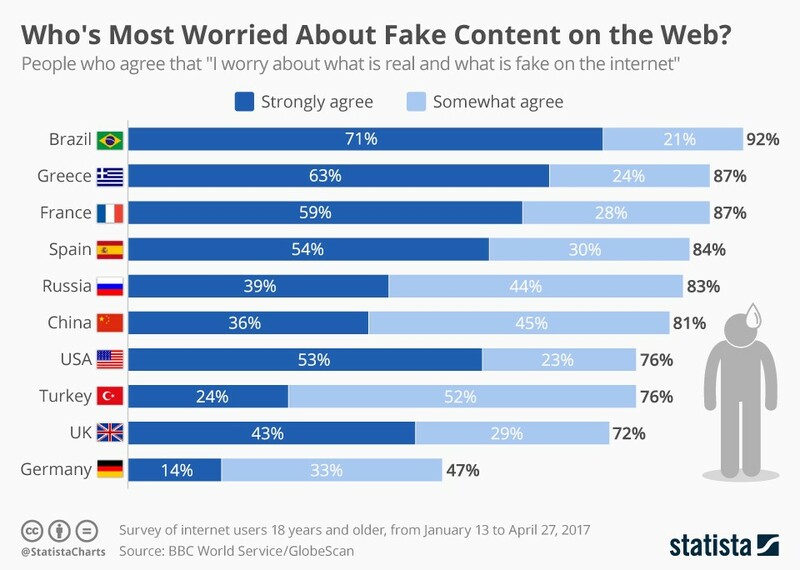 The Germans, on the other hand are the people least worried about fake content on the internet. 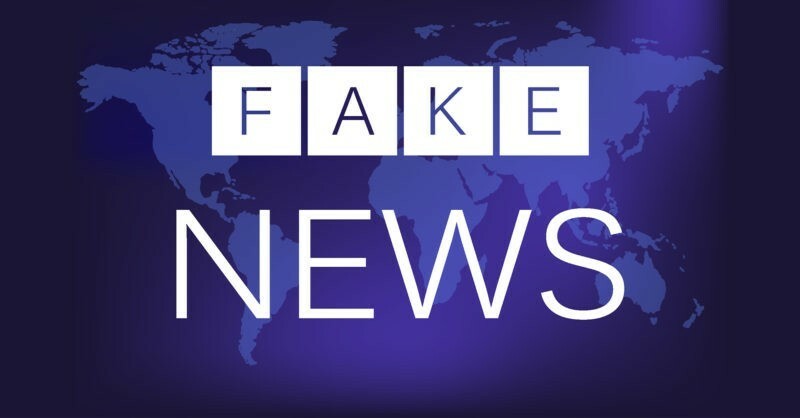 According to the survey, only 14 percent are very perturbed by content possibly being fake. Another 33 percent are somewhat worried. So, while 47 percent overall are worried to some degree, this is a low figure compared to how worried people in other countries are. In Brazil, most people are concerned: 92 percent are worried about what’s real and what’s fake. The study also finds that more people in 2017 than in 2010 say that the internet should never be regulated by government (58 percent in 2017 to 51 percent in 2010). But slightly less people than in 2010 think the internet is a safe place to express their opinions (46 to 48 percent). 16.542 adults in 18 countries took part in the survey, of which 11.799 used the internet, conducted by GlobeScan.